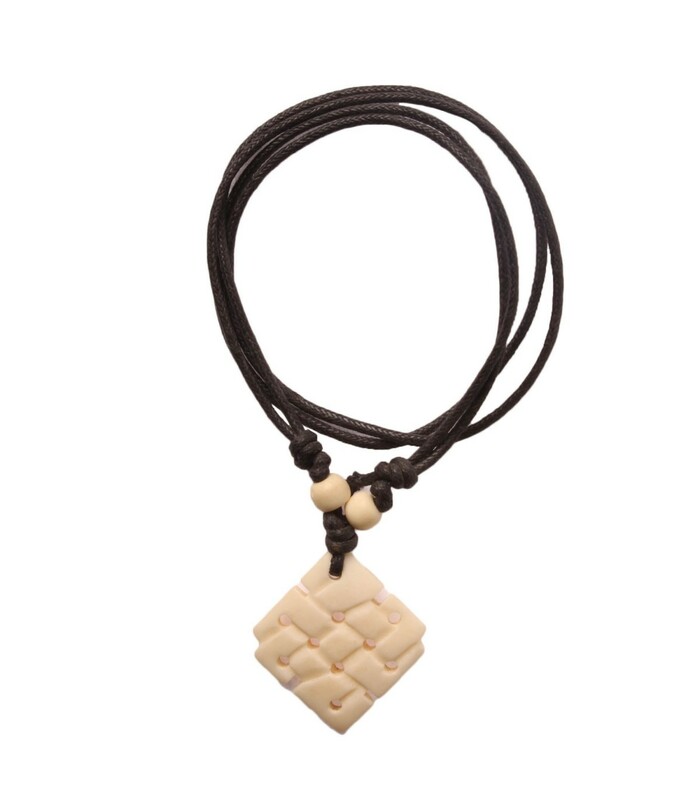 Buffalo bone locket carved into endless knot. 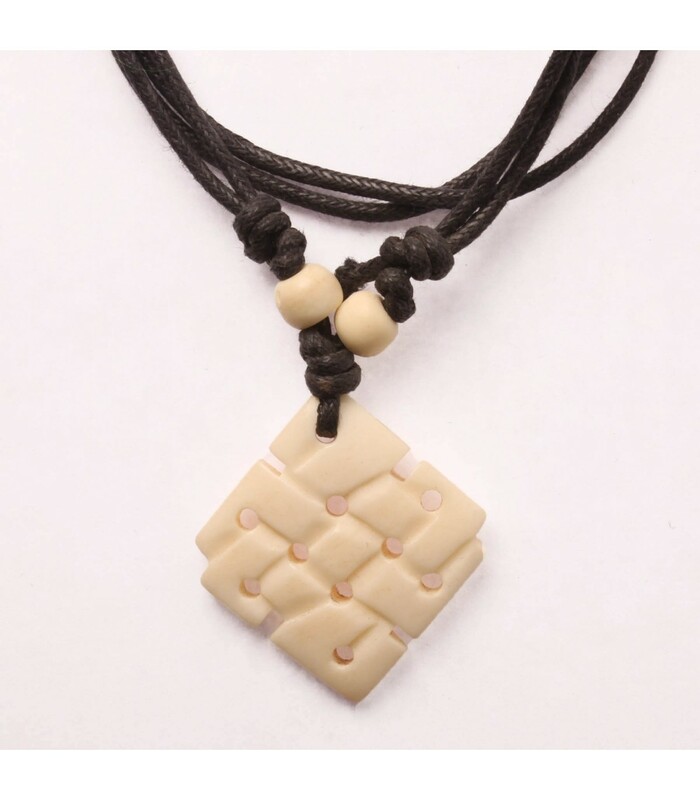 The endless knot has different meaning and importance in different culture. In Buddhism it signifies wisdom, continuation of birth, death and rebirth.